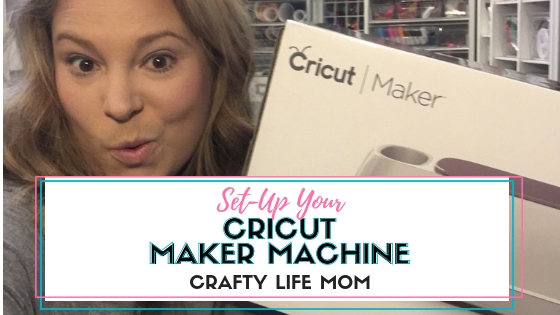 Learn how to set up your Cricut Maker craft cutting machine by following this quick tutorial. 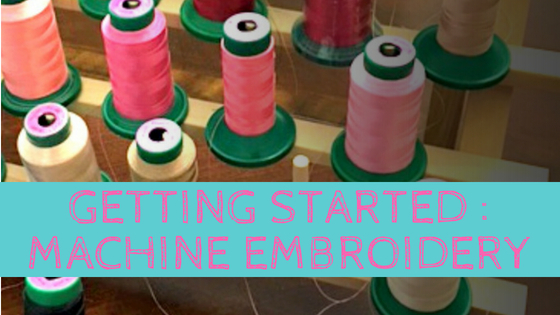 You will be making the cut within in minutes and making your first project with ease. Here’s a video showing an unboxing of the Cricut Maker, plugging it in, opening the software, and making my first Cricut Maker projects. I owned my first Circut about 8-9 years ago. It was the first original Cricut and the only one of its kind in the marketplace. In fact, back then I didn’t know of any other craft cutting machines available. I owned the Circut Expression and the Cricut Expression 2. Both versions of the machines required cartridges to make anything. The cartridges had several designs per cartridge and you inserted that cartridge into the machine, selected the design and then cut it out. Nothing fancy, and there definitely was not any capability to modify or change the design. A few years later, I was introduced to a Silhouette Cameo, and it was at that time, I sold both of my Cricut machines. I switched because I wanted to have the capability to upload designs from anywhere. Silhouette had this capability from the start. Cricut had it, but with limitations, and was sort going through a growing phase with this idea. Cricut also just launched design space via the web, but you were, at the time, locked into the designs with design space software. Some might tell you there was a workaround, and that may be true. However, I didn’t want a workaround. I just wanted to make what I wanted to make. Any long-time crafters out there get my drift? While the design software was much better than those cartridges, it just didn’t do what I was looking for at the time. It has been about 5-6 years since then. And I never thought I look back. 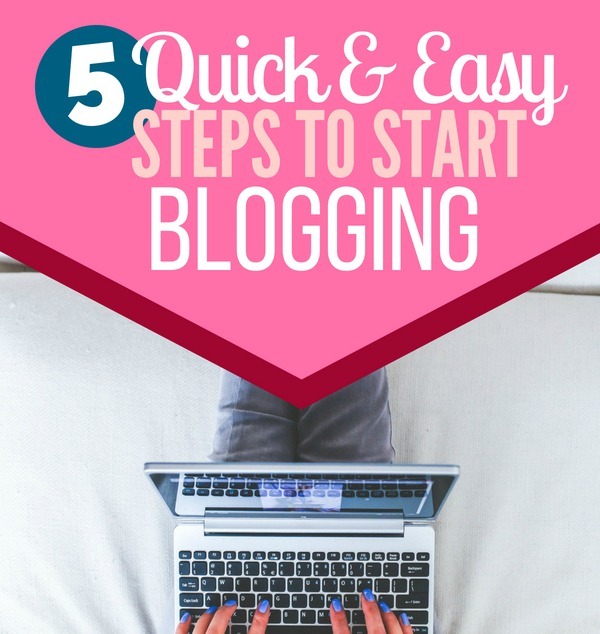 But, I also never thought I’d be a craft blogger, helping out other crafters. And here I am, loving this passion I have of teaching and sharing crafts and crafting tips with others. So, naturally being a crafter-helper-out-er… I do get questions about Cricut all the time. I can’t ignore that some of my craft friends use Cricut. And to better understand and troubleshoot their crafty woes, I purchased the Cricut Maker to know and learn for myself so that I can help them! Looking at Cricut and how far it has come over the years I must say Cricut is pretty amazing in the advancements and changes they’ve made in the marketplace. 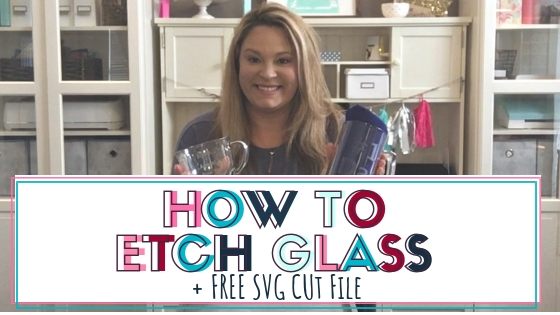 Cricut design space has completely evolved into this place and community to where you can find both Free and paid-for designs. You can easily find a project, create it and go. The Design Space and store are all within one place (at least it feels like it) and it seems fairly easy to start, navigate and create projects. I really even like how you can see exactly what materials are needed to create a project. In my personal observation, Cricut has the marketplace when it comes to retail space. 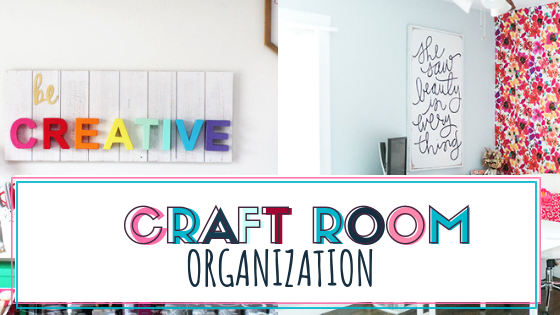 What I mean by this that when you walk into any one craft store (Micheals, Joann’s, Hobby Lobby, and even Walmart) you will notice more Cricut products over SIlhouette. More Cricut machines, Cricut brand vinyl, Cricut tools, and accessories. So if you ever need more supplies or accessories you are more likely to have better luck finding what you need at the nearest local craft store. You will find SIlhouette too, but you just aren’t as likely to find as much. And of course, there is always Amazon Prime if you need craft supplies and can wait 2 days. Now, I did study marketing in college, and I know this could very well be just how it is in my area, and that my area sells the Cricut brand better. 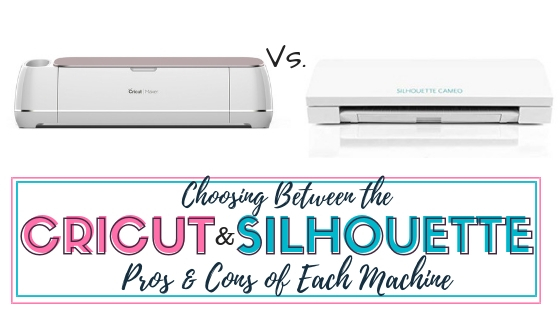 But, I know about 50/50 Cricut Crafters to Silhouette Crafters so this idea seems invalid. And it only seems as of lately, within the last year or two. All of this seems to be a result of marketing. I am not sure if it is demand solely or not. I for one have been a user of both machines and brands and cannot state a clear winner. It comes down to personal preference. Nonetheless, it seems there is more “Cricut” stuff in stores. 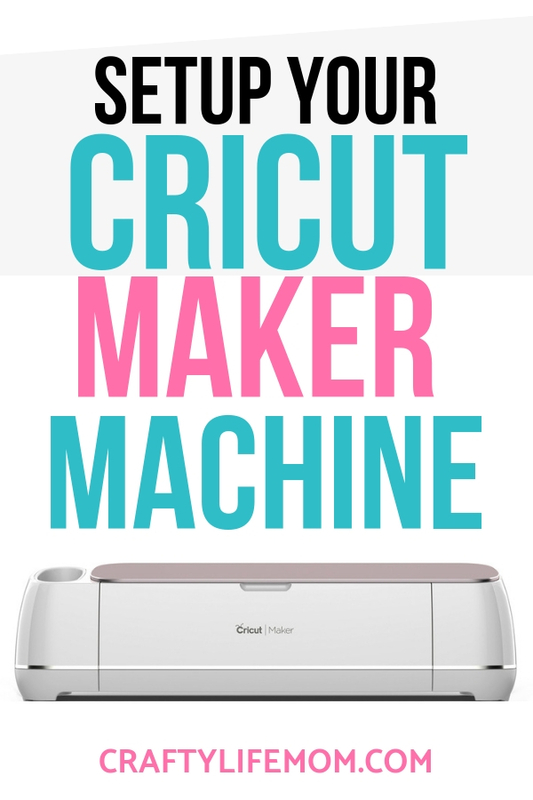 And, as I mentioned above, because I do get Cricut questions all the time, I decided to purchase a Cricut Maker to see what all the latest Cricut fuss is about. I have to say, I am pretty impressed. It seems to be everything it says it is and do all it says it will do. I’ve only done 2 projects since setting it up just today. My plan is to become versed in both, because my goal is to help my fellow crafter. And, well I can’t do that very well if I don’t know both. If you have any questions about the Cricut, leave it in the comments below, and I will be sure to answer your question. 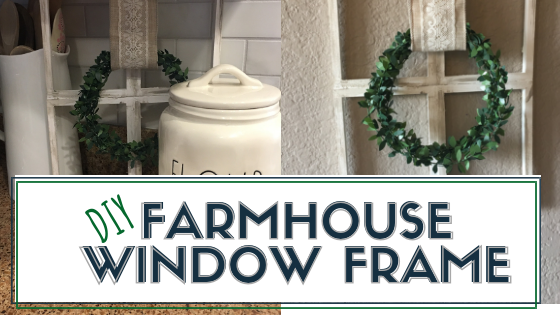 I hope you will follow along on this journey with me as I make the cut with both Cricut and Silhouette. 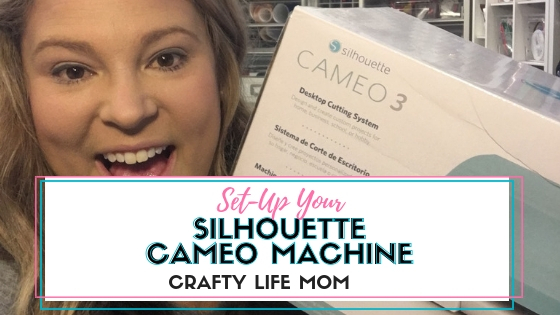 Related Post: Setting Up Your Silhouette Cameo Machine. Step 1). Unbox the machine. Keep all the parts and pieces. Step 2). Plug in the power cord and then the USB cord. Step 3). Power on the machine. Step 4). Register your machine at Cricut.com and allow the prompts to take you through your first prompts and first project. Step5). Enjoy!! 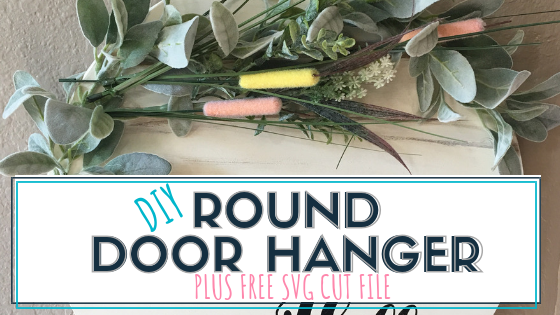 And sign up for the Crafty Life Mom community on the Resource Library page to get FREE access to printables, SVG cut files and tutorials to all the crafty projects. Plus get a Craft Project Planner delivered right your email! !